The original self-polishing saddle soap. For use after every ride. Makes leather look like new with a single application. Cleans, conditions and polishes in one easy step. 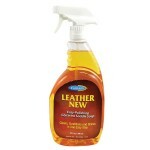 Cleans, softens and renews leather - then dries to a longlasting shine. LEATHER NEW protects the texture and color of leather, making it supple with a polished finish. Just spray it on and rub it in. Will not dull or stain - No oily residue - Will not rub off on riding pants. 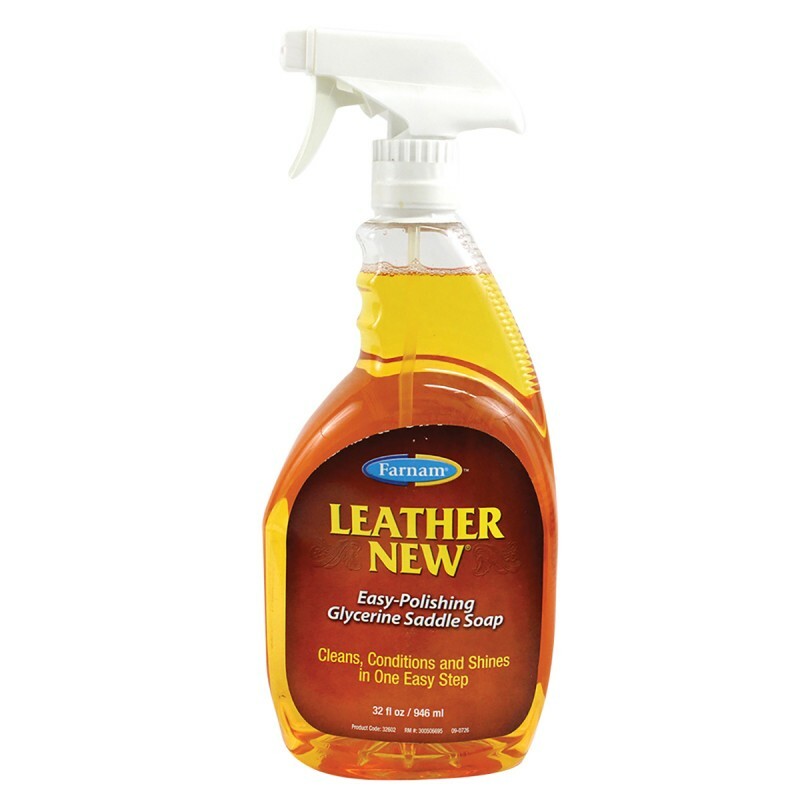 Removes imbedded dirt and grime while replacing natural oils deep down in leather. First remove all dust and dirt from the leather with a soft brush or vacuum. Then spray LEATHER NEW directly onto the leather. NOTE: Do not allow LEATHER NEW to run. Use a soft, dry cloth to rub the liquid well into the leather. Be sure to use a cloth with enough nap to reach down into stitches and carving. Rub thoroughly until foam disappears. Then polish with a clean, dry cloth. Also use LEATHER NEW on wet leather to prevent stiffening. Use it on stiff leather to soften it and prevent cracking. Weight 473 ml, 946 ml ou 1.89 l.